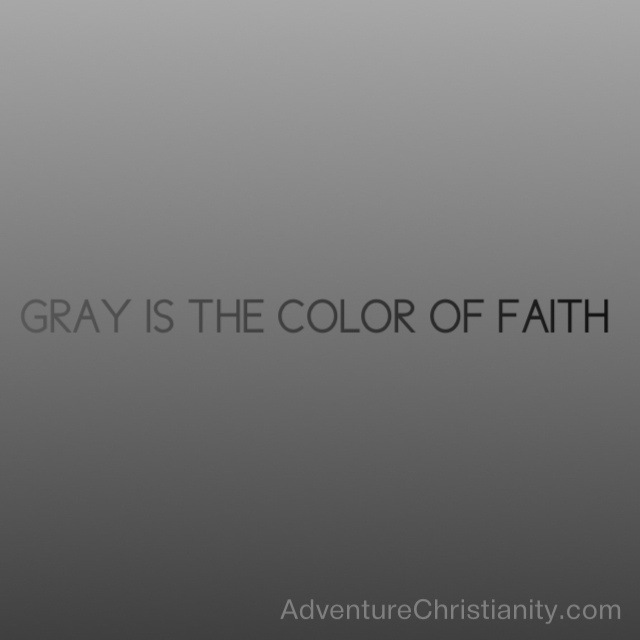 This entry was posted in christianity, inspirational and tagged Christian, Christianity, church, Faith, spirituality. Bookmark the permalink. I think the world isn’t always as black and white as we’d like to think. Faith means embracing the mysteries, the not-fully known, even the doubt, as we move closer to God. Thus, the gray. What do you think?